New clients only. Not valid with any other special or discount. 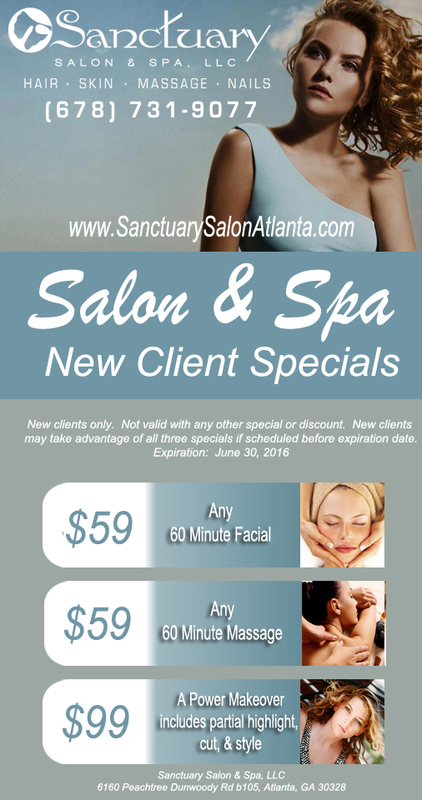 New clients may take advantage of all three specials if scheduled before expiration date. Expiration: June 30, 2016 Promotional pricing is limited & subject to change without notice.